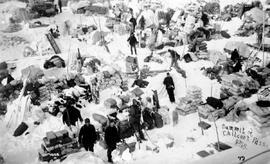 "Summit of Chilcoot (sic) Pass"; men surrounded by tons of supplies brought up on the backs of the prospectors. 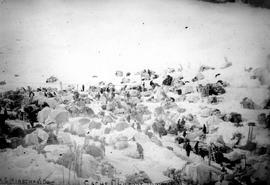 A gold rush log cabin. Freight scow leaving Atlin for Dawson. The summit of the White Pass Trail.